A U.S. 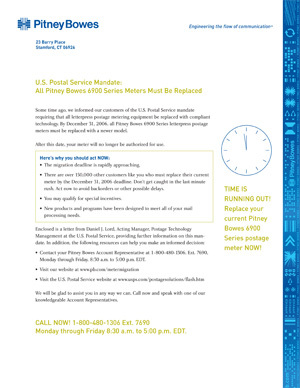 Postal Service mandate required companies to replace their traditional letterpress postage meters with equipment that used new digital printing technology. 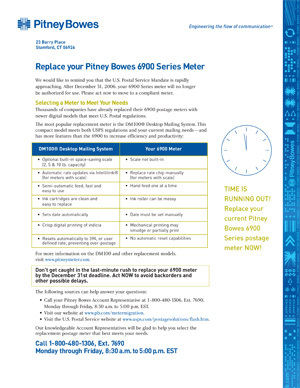 We developed a series of letters reminding Pitney Bowes’ clients of the Post Office mandate and provided easy-to-understand action options to make the transition as fast and easy as possible.